HUAAH!!! It’s Kyle and James, and James has just completed powering up for two weeks to talk about Dragon Ball and how it truly relates back to The Journey to the West. 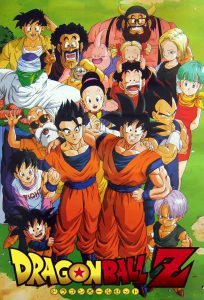 The episode is kicked off by James hammering home some of the big comparisons to be made between The Journey to the West and the three big Dragon Ball series, including Dragon Ball Z and Dragon Ball Super. He also discusses the classic Chinese book’s influence on the anime Naruto and AMC’s Into the Badlands. Kyle then flies in and launches into the background and career of Dragon Ball‘s creator, Akira Toriyama and how he came to make the acclaimed manga that would transform into one of the most popular anime’s of our time. The hosts round out the episode with a discussion of Dragon Ball‘s present appeal, it’s missteps with female characters, and it’s popularity among African-American men. Previous 89: Dragon Ball Z Part One – The Journey to the West	Next 91: Captain Marvel Part One – Ms. Marvel with The Fake Geek Girls!